After the success of Yurek. Yu takes a step in the wearable devices, and launches it’s YuFit fitness band in India which will go on sale on July 29 on Amazon India at 12PM IST. The registration for the first sale of YuFit starts on July 21 at 12PM on Amazon India. Just like the previous devices from Yu, only the registered user will be able to purchase. As an introductory offer, Yu has announced that the first 1,000 customers will get free access to a coach via Healthifyme, a startup Yu had invested in. 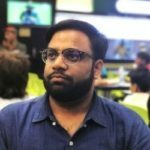 Healthifyme subscriptions for coaches start at Rs 1,800 for two months and go up to Rs 10,000 for a year. Yufit can track the calories of an Indian food, which can give the user with exact calorie count. YuFit directly competes with the Xiaomi’s Mi Band and Goqii. However, YuFit has an edge as it has an OLED display.